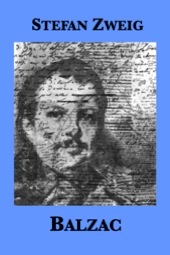 Zweig devoted ten years of research and writing to Balzac, which he regarded as his crowning achievement. This late work reads like a picaresque novel, with Balzac’s quest for “a woman with a fortune” and recurrent episodes of the author chasing an elusive pot of gold driving the story. This biography of one classic author by another is filled with Zweig’s characteristic psychological insights. He portrays the energy and “exuberance of imagination” that produced some two thousand characters in La comédie humaine, as well as the daily details of the coffee-chugging writer’s life, his manic writing schedule, method of correcting proofs, dealing with publishers and reviewers, signing contracts, doing marketing and publicity. Balzac blends biography and literary history in a highly readable volume that will teach you French cultural history as you laugh out loud.